"Is this a vision or astrality I see before my eyes...?" A war is raging on the planet today. A war called the astral war. This is the main label. But it can also be called spirit war, holy war, propaganda war, media war, frequency war, energy war, psychic war, silent war, virtual war, spectral war – and, in German, Kulturkampf and Weltanschauungskrieg. This fight is old. 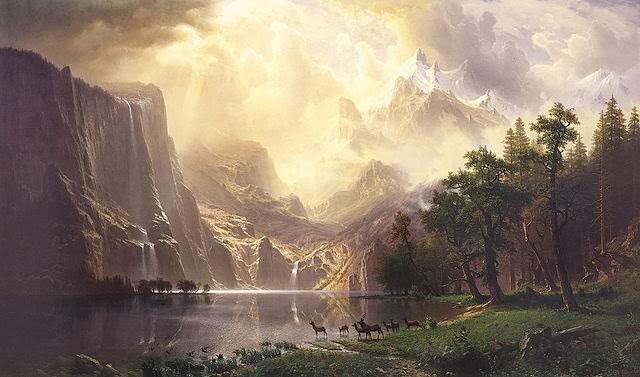 It has been going on since the dawn of time, since the primordial existence of dark and light. The Demiurge stands for the dark, God stands for the light. The war will be a celestial War, an Astral War, a Psychic War. It will be in Heaven but the results of this war will be seen on Earth. Details aside, this concept helps you to see beyond the battles fought on material battlefields. To see beyond the material war and see the energy war, the spirit war. We're all fighting the astral war. No one is neutral. Every mind-endowed, thinking, living human being is an astral warrior. Surfing on the net and being exposed to its images and texts is astral war. Reading a book is astral war. Talking to the man in the street is astral war. In this, you have of course to be a mindful operator and not a mindless one. The mindless actor is quickly devoured by the Demiurge. The mindful actor exudes light and fights his way with a virtual light saber. The astral war is a somewhat abstract war, not a tangible, old-school, boots-on-the-ground war. However, such tangible action taking place becomes part of the astral war when given a propagandistic spin. This is the main reason why The Powers That Be still fight material wars: to conceptualize them as part of the imperialistic narrative, of good vs. evil, the Empire vs. indigenous peoples and such. This view is in harmony with the concept of “4g warfare,” the modern type of warfare where the propagandistic, immaterial element is given a prominent place. Old-school warfare was fought with invasions, mass armies and industrial mobilization; today’s war is essentially an astral war, a propaganda war directed at our minds. The astral war is raging and no one is neutral. There are no non-combatants in this war. It’s a total war, total in the sense that no act, no thought, no noteworthy feeling is unimportant. The mindful actor controls his every thought and every emotion and thus avoids being brainwashed. The mindless actor, on the other hand, has no control of his thoughts and emotions and is virtual cannon fodder in this conflict. The astral war is a war for your soul. Your soul is the battlefield. And your soul is everything. Idam sarvam, yad ayam âtmâ. Therefore, the astral war being a war for your soul, is a total war. No one is neutral in this war. The only viable exemption warrant would be a declaration of insanity, signed by a psychiatrist. So, those of you who are clinically insane, step aside, leave the battlefield and to the loony bin with you. The rest of you must learn how to fight the astral war -- and win. You must learn how to oppose the Demiurge, the Eagle, the blind idiot god Azathoth, writhing at the center of the cosmos to the idiot piping of a demon flute. We are opposing this darkness. We are opposing the Demiurge, bent on devouring our souls. We strive for the light, we strive for acknowledging and maintaining the soul light, the Inner Light, a fragment of the Divine Light. We are the Army of the Light fighting the Army of the Dark. See my novel Redeeming Lucifer for a vision of such a battle. To survive in the astral war, you must live a mindful life. The following is what living a mindful life is, and the counterpart to it. To live a life hooked to mainstream media, constantly being upset by this and that happening, constantly hoping for paradise, constantly fearing hell – the person living such a life is insane. He is controlled by the Empire. He is astral war cannon fodder. On the contrary, a person having will controlling his thought lives in equanimity. He entertains his mind with reading, deliberation and meditation. That person is viable astral warrior material. Control every though and emotion and survive in the energy war. Or, live like a ship without a sail and be devoured by the Demiurge. You choose. There is no neutrality in the astral war. You either support the freedom of the will, the freedom of expression, the freedom of thought, the freedom from oppression by The Powers That Be. Information is light. To enable the flow of information is to fight for the light. Conversely, to hinder information is to support the dark side. The astral war needs actors – mindful actors – you. To serve the light calls for action – dedicated action – weaponized mindfulness. 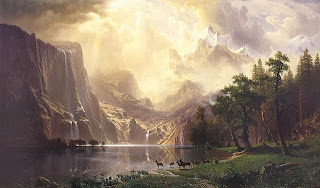 Painting: Albert Bierstadt, Among the Sierra Nevada Mountains.